Every so often I come up with a simple activity for my kids that I think is brilliant. 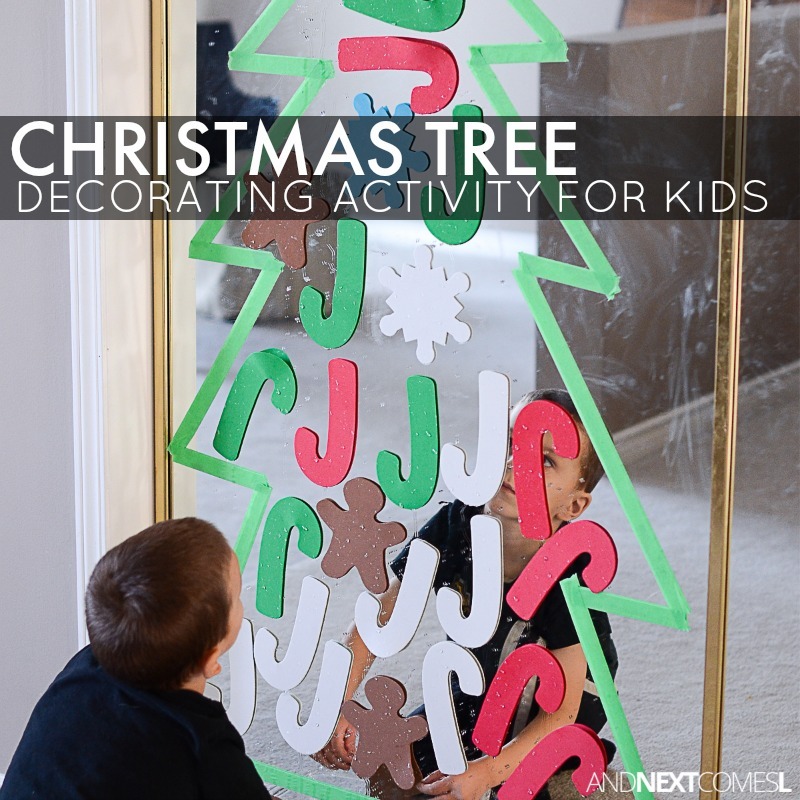 This Christmas tree decorating activity is just one of those ideas! My boys absolutely loved this simple Christmas boredom buster for kids. It allowed them to freely decorate their own Christmas tree over and over. Honestly, the photos, although they are awesome (in my humble opinion...ha! ), they just do not do this activity justice. The kids just loved it that much. The materials you'll need for this activity are easy to find at a local dollar store. But, to be honest, the materials I used are ones that I always keep on hand for when my kids need some kind of boredom buster activity. We even like to reuse the materials multiple times! Like the tape we used to make the Christmas tree was the tape from our Christmas gift bow graphing activity.